The buzz of the alarm starts to muddle with my sleep. I languidly stretched my hand to grab my phone. Is it 8:20! I clearly remember the clock showing me 7:00 AM just 5 minutes back. Time dilation while sleeping is something even NASA may find tough to figure out. But what do I do now? I can’t miss the 8:30 lecture, it’s too important; moreover, I had already missed Prof. Kamlakar’s lecture last week which means I can only afford to miss 3 more lectures in the entire term (3 months). I didn’t want to bring that tally to 2. Readers who are finding it difficult to comprehend the math mentioned above; let me clear the air. In every term, a student is allowed to miss only 4 classes (20 % of the classes) for a particular course. After this, there would be a grade drop in that course. I pulled myself up, wore a crumpled shirt and jeans, splashed some water on my face and I was ready. By 8:27, I was physically present in the class. Seven minutes, I felt like an Indian version of flash. Screw you DC. The class begins and I was feeling a bit dozy. I began my calculations, I had 3 lectures today which means I will be free by 1:30 PM with no quizzes in the evening. I can actually carry on from where I left things at 8:20, so no sleeping in the class. I kicked off the session assiduously. Finance followed by Marketing followed by Statistics. The lectures were exemplary. I felt good, the decision to not miss the lecture paid off. This is what we are taught in the classrooms; decision making and opportunity cost. I practically applied a couple of managerial concepts today. He next destination is The Bed. I have my lunch. I find the food in the mess extremely good considering the engineering background I come from. While eating I took out my phone to check the mails. I have 15 unread emails in the inbox. By the time I finish my food I had 3 assignments, 1 presentation and an event meeting in my To do list. I head towards my room preparing a schedule for the tasks. I couldn’t fit sleep anywhere. But that is how things work. The day is for work, Night is for sleep. The clock ticked 8 PM when I finish the assignments. Now I have a meeting at 8:30 for a corporate event to be held next week. Some of the students in MBA colleges are of the opinion that organizing these events are supererogatory given that the students already have too much on their plate. But I believe that when someone is structuring such events it enhances their skill set in solving real-life problems. The meeting gets over at 10:30 and I have missed my dinner so I head over to the canteen. After the dinner, I still have a herculean task of preparing a presentation. Now the best part about a presentation is group discussions. When an idea is floated in a group we get to see different perspectives on a single issue which is great. The market that we will be dealing with in the next 20 months is an extrapolation of this group. If I could convince the group I can convince the market. The final draft is ready and it’s 3 AM. I get to my room, open my laptop, open the mail and clear the checklist before sleeping. Now when I finally lay down its already 4 AM and I am contemplating, as I do every day, whether this effort and rigour are really necessary. The answer that comes from within is YES. I will be a manager in another 2 years, handling affairs of the entire team, managing their work and a lot more. I will be responsible for their success or failure and If I am not ready for this then someone else will be. The efforts that I put in these 2 years will define my career path in the years to come. So don’t shy away. There is not much room at the apex. Next morning, I get up at 8:20 and it was déjà vu. My name is Utkal Bajpai. 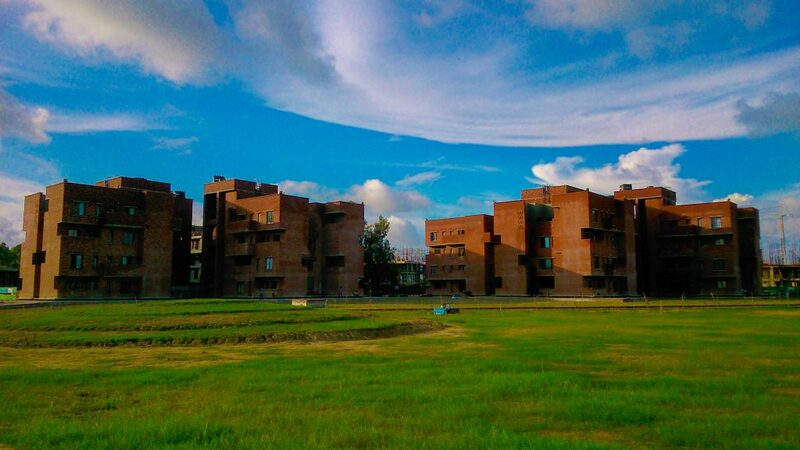 I am a MBA student at IIM Kashipur. My hometown is Kanpur. This is my first article for InsideIIM. So read it and appreciate if you like.